Shades - Sports Bar & Restaurant in Dubai Marina. A Chic And Stylish Restaurant And Sports Bar. 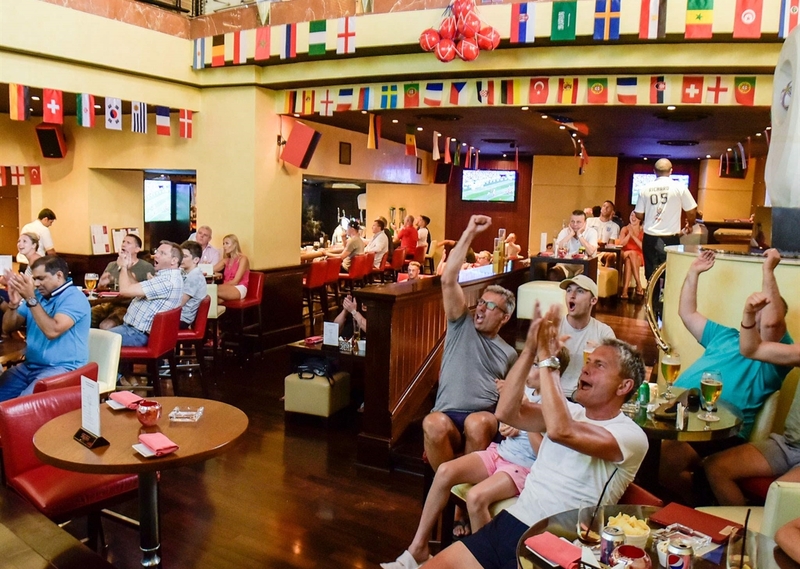 Large TV screens placed both indoors and outdoors showcase the latest sporting action while fans, families, and friends can relax and unwind over an unrivaled range of international cuisine and drinks to complete any and every evening. A wonderful place to a fun night out with friends. A wonderful place to a fun night out with friends.